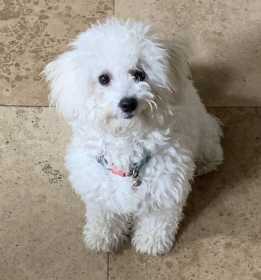 Coco is a small white poodle Maltese mix. She is about 8 months old and was last seen wearing a baby blue and pink collar. She went missing on Copperas Branch ct/ Lakeland area of highland village. Possibly spotted on Fairview dr. CORINTH. Please help us find our sweet baby girl!